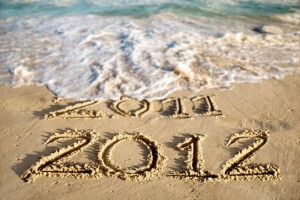 Each area has it’s unique challenges and will experience new horizons in 2012. While I do not pretend to be Carnac the Magnificent of Johnny Carson days there are some new happenings that seem to be clearly presenting themselves for the coming year. 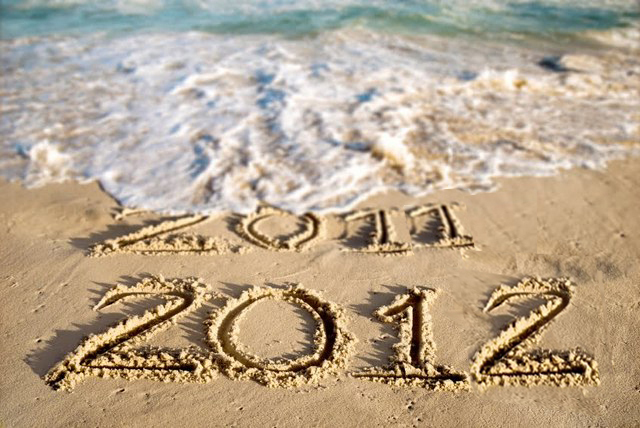 2012 will see the individual neutral Mediator/Arbitrator become the focus and not the technology. Technology has reached a level of general acceptance and will gain widespread acceptance as an aide to making dispute resolution faster, cheaper and more widely available. Not that everyone will clamour to go online for an entire resolution process. But wide spread adoption of parts of the process will become common. Online Video Mediation Sessions .Skype, Face Time and others will enable online video communications. OnLine Case management services will enable the online mediation/arbitration file – secure and confidential. Neutral Listing services will enable neutrals to market themselves. Confidentiality and Security will require online facilitation. PaaS and SaaS will see an expansion with existing and new online providers. Institutional Control will be readily recognized as unfair , not neutral and untrusted if for no other reason than they appear to control the outcome. The speed of technological change is now “warp speed”. According to Joshua Topolsky editor-in-chief of theVerge “What will happen over the next few years in user interface design and decentralized cloud systems will make the previous 20 years seem tame by comparison. We’ve crossed over from a long, slow evolution to an explosive revolution in what a computer is and how you use it — and there’s no looking back.” But Topolsky is not alone as the financial community is planning ahead and quantifying activity for the next several years. As the biggest maker of networking equipment, Cisco has a good view of what the future of the online data boom looks like. It even employs a “Chief Futurist” to help guide its business. There will be a total of 15 billion network-connected devices in the world (two per person). Internet users will reach 3 billion – roughly 40% of the global population. Average broadband speeds will increase fourfold from current levels. Global mobile data traffic in 2015 will be 26 times higher than 2010. These enormous growth rates are happening because of two factors. First, the entire world is becoming connected. Nearly a billion people in China and India will be using the Internet. Meanwhile, the fastest growth is in Latin America, where traffic is expected to increase at an annual rate of 50% over the next four years. Dave Evans, Cisco’s “Chief Futurist,” summed up the explosion in traffic by noting that it took 200 years to fill the U.S. Library of Congress. He pointed out that Internet users now create the equivalent amount of digital data every two minutes. In February Eric Schmidt, CEO of Google, announced “The PC is Dead”. Neutrals – mediators/arbitrators will become more creative and aggressive in adopting Internet online marketing principles. Neutrals will adopt new communication technologies of the Internet age to prevent the parties from coming to a stale mate. Neutrals will look for new secure ways to protect the confidentiality of the parties and the process. Pressure form court case management programs will continue to press parties to genuinely participate in ADR. Courts will continue and expand mandatory CLE requirements for mediators to maintain certification. All and all 2012 appears to stand ready to sling shot ADR and ODR to new record numbers of the highest form of dispute resolution – party directed resolution. Judge Monty Ahalt ( Ret. ), Annapolis, MD, 410-881-0137 Primary Office, 410-263-6163 Home Office, 301-526-0346 Mobile, 3015260346@mms.att.net, www.virtualcourthouse.com, www.montyahalt.com. ABA will pass some regulations that make law schools be more transparent and accurate about graduating law students employment results. There will be more venture capital flowing into startups in the legal industry. This seems like a target of opportunity for the VC’s. Here are is a short list: http://www.cattorney.com; http://www.virtuallawdirect.com; http://www.lawgives.com; http://www.upcounsel.com, and see: http://www.attorneyfee.com, http://www.mylawyer.com/blog/attorney-fees/how-does-attorneyfee-com-work, (many of these start-ups will fail, but a few will have a big impact). There will be a little backlash to cloud computing as bar associations generate opinions that have the unintended consequence of slowing adoption by solos and small law firms. This will be a set back for small law firms as it will make them less competitive. The bar challenges to LegalZoom that are based on violations of the Unauthorized practice rules will be resolved one way or the other. If LegalZoom wins, it will file for an IPO and with these resources continue to eat away at the market share of solos and small law firms. LegalZoom will expand into the Canada and the UK. True legal expert systems will begin to appear in the marketplace as http://www.neotalogic.com gains traction. See demo at: http://neotalogic.com/demo. More SaaS vendors will move into the virtual law firm space offering client portals at a reasonable price to solos and small law firms. Watch for Findlaw and Lexis to move into this space. http://www.intuit.com the publisher of http://www.turbotax.com will launch a low cost legal forms service directly to consumers based on the intelligent technologies that they used to create turbotax. Turbotax for legal forms. More competition for solos and small law firms. New BC Family Relations Act will result in more litigation – not less. Unless they fund the courts properly – and fund parenting after separation programs across the Province…it will result in more litigation, not less. A number of attorneys shy away from writing blogs because of the perceived time commitment (wrapped up, among other things, in: researching; post length requirements; frequency of publication). A great alternative to the traditional blog is Tumblr, a microblogging medium (think: Twitter) on a traditional blogging platform (think: WordPress). I believe that, in 2012, more attorneys and law firms will begin to use Tumblr, in lieu of traditional blogging, as a free-form, quick-strike publishing platform. For a great example of the effective combined use of a traditional blog and a Tumblr page, check out Matt Homann’s The [non]billable hour and LexThink Links. The rise of the tablets will continue into 2012; and, tablet devices will end up becoming the primary computing device, eventually eliminating smartphones and traditional keyboard computers, probably by the end of the decade, if not before. The legal system is not unique in that all of the pressure for change being brought to bear finds its genesis in a poor economy and the continuing development of new and improved technology applications. Law firms and legal institutions must continue to watch the bottom line, and to utilize effective technology tools to save the time and money spent researching for the right ones, while adding further efficiencies on top of that. Email: jared@masslomap.org, Website: http://www.masslomap.org, Blog: http://masslomap.blogspot.com, Twitter: http://twitter.com/jaredcorreia, Facebook: http://www.facebook.com/MassLOMAP, LinkedIn: http://www.linkedin.com/company/mass-lomap. As far as some forecasting – understand now that I’m on the other side of the table, I have a different viewpoint than I did as a consultant. I think we’ll see more mobile activity. Devices like the iToys, the Droid tablets, and Netbooks that our attorneys bring to us and tell us to make it work. In many industries, they call this consumerization (you’ve heard that term before), and it’s basically the users are telling us what they want to use. Some of it is client-driven, but in my opinion, I think it’s that some users truly want to be more mobile and many of them learn these devices on their own. At my firm, we’re seeing them trickle in, but I’m already ramping up for the onslaught by putting in the necessary technology and platforms to support them. On another front, I think we’ll see more activity in the Cloud. Smaller firms will look at an all-in-one solution for the Cloud because it is more cost effective at that level (monthly operating costs as opposed to annual capital expenditures). Mid size and larger firms will be looking at individual cloud-based applications but the real challenge that they will face (as we are now) is how to integrate those cloud-based applications with existing terra-based core applications. With both the mobility and cloud-based activity, you’ll also see more demand for higher bandwidth – that goes without saying. Anyway, thanks for the invite. Andy Adkins, CIO, Steptoe & Johnson. Specialize – borrow an idea from Steve Jobs – pick 2 or 3 things and do them really well. Review your current practice and identify the files that fuel your passion; and tailor your professional development and marketing to your chosen niche. Simplify – know your numbers – take the guess work out of your finances. Invest some time to work out your budget; and know what you need to docket, bill and collect each month to meet your goals. Colleen M. Cowan, BCom(Hons), CGA, Certified Independent Consultant for PCLaw, Phone: (705) 721-4900, Fax: (705) 734-9080, email: ccowan@colleencowan.ca, Website: www.colleencowan.ca. For some reason, billing and collections are still one of the most dreaded tasks I hear about in small law firms all over the country. From time tracking, to reviewing prebills, to getting final bills out, to insisting clients pay their bills, these critical tasks just do not get the time and attention they deserve. It does not have to be hard…it just has to be done. 1. Thou shall enter time contemporaneously throughout the day. There is simply no question that your time will be more accurate and that you will capture more billable time throughout the month using this simple, basic time keeping strategy. 2. Thou shall take 5 minutes at the end of the day, before running out the door to review time and ensure it is all entered. 3. Thou shall use capital letters, punctuation and follow all grammar rules when entering time. 4. Thou shall set a time (second business day of the new month) to run prebills for review, and stick to that date. 5. Thou shall attempt to electronically review prebills instead of wasting paper. 6. If commandment 5 cannot be kept, thou shall print prebills on the ugliest color paper you can find (makes them easy to find and people want them out of their office as quickly as possible). 7. Thou shall make prebill reviews a priority by setting a deadline and sticking to it (within 24 hours of receiving them). 8. Thou shall produce easy to understand, easy to read bills for your client. Take pride in the finished product – if you have always wanted to change up your bills, do it now! 9. Thou shall create and mail/email final bills by a chosen deadline every single month (by the 5th business day of the month at the latest). 10. Thou shall establish a due date for invoices, communicate that very clearly to clients. 11. Thou shall have a protocol in place for dealing with collections. Suggestion: if your bills are due on receipt, send a past due notice 15-20 days after bills go out, call on day 25, send a letter on day 30, etc. You will not regret making a renewed commitment to the process of billing and collections. Happy New Year! Debbie Foster | Partner, Affinity Consulting Group, Ph: (727) 544-5400, Email: dfoster@affinityconsulting.com. So that is our second part of forecasts and tips to lead you where you are meant to be. The final instalment will be posted tomorrow! This entry was posted on Friday, December 30th, 2011 at 5:00 am	and is filed under Adding Value, Budgeting, Business Development, Change Management, Firm Governance, humour, I'm a Mac, Issues facing Law Firms, Law Firm Strategy, Leadership and Strategic Planning, Make it Work!, personal focus and renewal, Technology, Tips, Trends. You can follow any responses to this entry through the RSS 2.0 feed. You can leave a response, or trackback from your own site.